John Laurence Miller was born on the 29th April 1947, in San Francisco, California USA, into a Mormon family, and is a former professional golfer, now a golf analyst who currently works for the NBC Sports. During his career he won 25 PGA Tour events, which only increased his net worth to a large degree. His career was active from the early 1970s until the 1990s. Have you ever wondered how rich Johnny Miller is, as of mid- 2016? 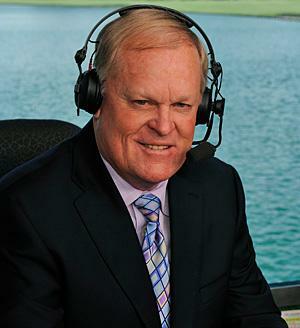 According to authoritative sources, it has been estimated that Johnny Miller`s net worth is as high as $20 million, most of which he has acquired through his career as a professional golfer, but his career as an analyst has also added to his net worth. Miller went to the Abraham Lincoln High School, from which he matriculated in 1965, and then he enrolled at Brigham Young University in Provo, Utah, graduating in 1969 with a degree in physical education. His golfing career began while in high school, winning the San Francisco city junior title in 1963. After that he participated in the U.S. Junior Amateur championship, which he also won. Encouraged by these early successes in high school, he continued to play golf in college, and ended in 8th place in the 1966 US Open, which granted him a place in the 1967 Masters. The following year he won the California State Amateur championship. After finishing college, Johnny entered the PGA Tour; his first victory came two years later, at the Southern Open played at the Callaway Gardens Resort in Pine Mountain, Georgia. The following year, he won his second event on the tour, at the Sea Pines Heritage Classic played at Harbour Town Golf Lings at the Sea Pines resort on Hilton Head Island, South Carolina. In 1973 he won the U.S Open, besting John Schlee by one stroke, which added a lot to his net worth. Johnny won the majority of his titles during the 1970s, including the Dean Martin Tucson Open, Westchester Classic, World Open Golf Championship, Bob Hope Desert Classic, NBC Tucson Open, and his second major title – the Open Championship. In 1974 he was the PGA Player of the Year, and was the leader in money earned from events that same year. In the 1980s, his career began to decline, and he won only six events, including the Joe Garagiola-Tucson Open in 1981, Wickes-Andy Williams San Diego Open in 1982, and AT&T Pebble Beach National Pro-Am in 1987. His last title came in 1994, winning the AT&T Pebble Beach National Pro-Am played at the three different courses of Pebble Beach Golf Links, Spyglass Hill Golf Course, and Monterey Peninsula Country Club at Pebble Beach, California. Johnny has also competed on a national level, winning the Ryder Cup in 1975 and 1981 with the US team. Also, he won the World Cup with the team, and on the individual title in 1973, 1975 and 1980. These also added to his net worth. He left professional golf in the 1990s, and joined NBC Sports as a golf analyst, and ever since has been in that position. He has become known for his blunt comments and remarks. Regarding his personal life, Johnny Miller has been married to Linda; the couple has six children. Their current residence is in Napa, California. Also, they have a residence in Utah. Children Andy Miller,Kelly Miller,Todd Miller,Scott Miller,Casie Miller,John Miller Jr.
2 Inducted into the World Golf Hall of Fame in 1998. 3 1973 U.S. Open and 1976 British Open winner. 4 Children: John (2 June 1970), Kelly (26 December 1972), Casie (30 July 1974), Scott (12 May 1976), Andy (3 February 1978), Todd (2 January 1980). He and his wife have 12 grandchildren. 5 Asked that his name be removed from the credits of "Tin Cup" because he objected to the movie's excessive foul language.